Parents and friends of the victims from the Marjory Stoneman Douglas shooting sit in the MSD Public Safety Commission, which met Tuesday at the BB&T Center in Sunrise. 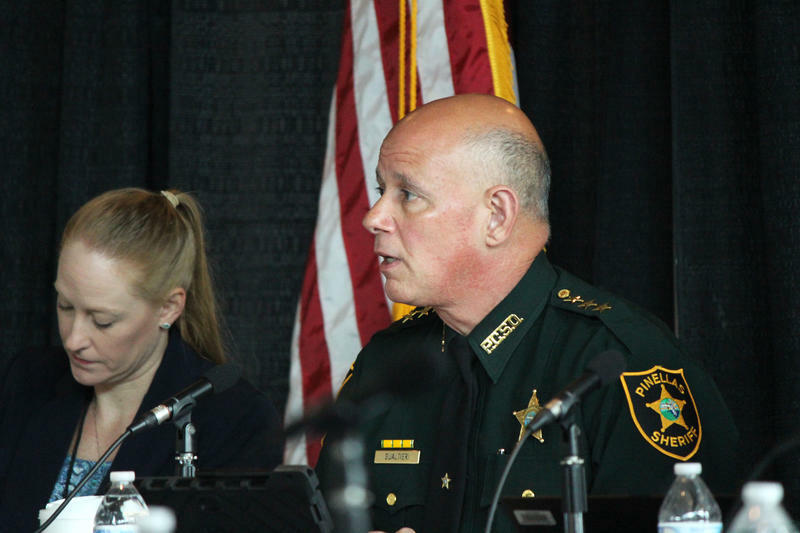 The commission formed last spring after the Marjory Stoneman Douglas High School Public Safety Act was signed into law. Its meetings are investigating system failures during and after the Parkland school shooting. 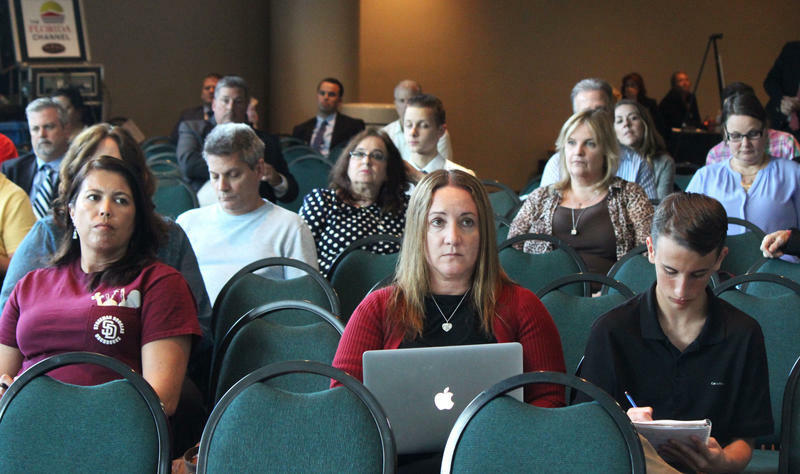 Tuesday's meeting at the BB&T Center in Sunrise included debate about what could be improved within the Broward County School Behavioral Threat Assessment Process and the controversial disciplinary program known as PROMISE. It's widely been documented that Cruz was disciplined for fighting and verbal assaults while at Stoneman Douglas. Gualtieri said there was concern by many monitoring Cruz that he shouldn’t possess a firearm, based on his behavioral history. His mother had purchased him a pellet gun before he turned 18. Lynda Cruz, his adoptive mother, died of complications from the flu in November 2017. Speakers from Broward County Public Schools and the U.S. Secret Service agreed that these incidents of mass violence could be prevented with more effective communication between entities like PROMISE, law enforcement, mental health counselors outside of school and school administrators. Lina Alathari, the U.S. Secret Service Chief of the National Threat Assessment Center, presented department research. She said the U.S. Secret Service looks at a constellation of behavior to inform risk assessment -- a deep dive into an individual as a whole. But that level of assessment didn’t happen with Cruz because of lack of information sharing, Gualtieri said. Eliminating a school-to-prison pipeline is the goal of PROMISE, a program that handles a list of 13 misdemeanor offenses at school instead of involving the criminal justice system. Instead students receive counseling and support in a more “clinical approach,” according to Broward officials. Cruz was assigned to PROMISE in 2013 after he vandalized a bathroom at Westglades Middle School in November 2013. Gualtieri distinguished Cruz’s behavioral issues in school early-on from what would be considered criminal conduct, or a larger threat. But despite the intervention program, Gualtieri said there was a lack of effective communication between PROMISE and other entities that were monitoring Cruz -- so much so that nobody actually knows if Cruz even showed up. “The records are inconsistent and inconclusive as to where Cruz was during his assignment to PROMISE on the three days in 2013,” Gualtieri said.